Do You Prefer Montepulciano or Montepulciano? Nope, no typo in that title. And no, I’m not losing it. Not yet anyway. Yes, the title is purposefully misleading. But within a reason – and I’m not looking to gain any unjust benefit from the confusion. As most of you know, Montepulciano happened to be the name of the indigenous Italian grape, popular in central regions of Abruzzo and Marche. Montepulciano is also the name of the small medieval town, right in the heart of Tuscany, where the grape called Sangiovese is a king. The wine produced around the town of Montepulciano, which dates back to the 14th century, is called Vino Nobile di Montepulciano, and to be called Vino Nobile the wine should contain at least 70% of Sangiovese grapes. What is also worth mentioning that Vino Nobile di Montepulciano was the very first DOCG (Denominazione di Origine Controllata e Garantita) in Italy, awarded in 1984 – the emphasis here is on Garantita, denoting highest quality Italian wines. Now, let’s go back to the main question, only let’s ask it in a less controversial way – do you prefer Montepulciano or Vino Nobile di Montepulciano wine? The answer to such a question requires some wine drinking, so let’s fight it off with maybe some of the very best examples of both – Masciarelli Marina Cvetić Montepulciano d’Abruzzo and Avignonesi Vino Nobile di Montepulciano. Masciarelli Tenute Agricole was established in 1978 by Gianni Masciarelli in San Martino, Chieti Abruzzo. In 1989, Giovanni married Marina Cvetic, who took over winemaking duties. Today Marina overseeing about 750 acres of estate vineyards, producing about 2.5 million bottles a year – of course, not only Montepulciano d’Abruzzo, but many different wines – you can find more information here. The wine we are tasting today, Masciarelli Marina Cvetić Montepulciano d’Abruzzo Riserva, is a flagship wine, which won numerous accolades from the critics around the world, and it is definitely a beautiful example of how good Montepulciano wine can be. Avignonesi estate was founded in 1974, and the Avignonesi family was instrumental in helping the regions to obtain DOCG status and promote Vino Nobile wines worldwide. From 2009, the estate, which comprise today 495 acres of vineyards in Montepulciano and Cortona appellations and produces about 750,000 bottles per year, is owned by Virginie Saverys. She works tirelessly to convert the estate to organic and biodynamic winemaking, and Avignonesi is expecting to get its organic certification in 2016. You can learn more about the estate and its wines here. The wine we are drinking today is Avignonesi Vino Nobile di Montepulciano, which goes way beyond the requirements of the DOCG and made from 100% Sangiovese sourced from 8 best vineyards of the Avignonesi estate. If you will look at the suggested price ($29), in conjunction with the quality, this wine would easily beat many of its famous Brunello neighbors. Many critics also concur, as the wine repeatedly gets high scores and makes to the various “Top” lists. P: sweet and tart cherries, earthy, leather, touch of cherry pits, touch of tannins, good balance. Very long finish with fruit dominating. V: 8. surprisingly ready to drink (unlike some Vino Nobile which I had before). Classic Italian wine all around, with finesse. As you can tell, I really liked both wines, probably hedging a bit more towards Montepulciano d’Abruzzo – these are very well made wines, different and excellent in its own right – and by the way, both would perfectly brighten up your holidays :). What do you think? Which Montepulciano would you prefer, not only from these two wines but in general? Cheers! There are plenty of Italian wines available at any wine store, definitely the case in US. There are lots and lots of producers in Italy which are just starting to conquer the worldwide markets – and they often make wonderful wines. What is the first region which comes to mind when you think about Italian wines? I bet it is Tuscany for the most, followed probably by Piedmont and then may be the Veneto. Well, we are not going to talk about any of those. Producer which I would like to bring to your attention comes from much lesser known area in central Italy, up on the Adriatic coast – the region called Marche. I can confidently state that 6–7 years ago, absolute majority of the wine drinkers in US never heard of the region Marche. Over the past few years, the situation changed, and Marche wines started showing up in the wine stores, often offering a nice surprise to the consumers who are not afraid to venture out of the all so familiar Chianti, Barolo and Pinot Grigio. As you probably guessed by now, Marche wines is what we will be talking about today – let me introduce to you Azienda Agrobiologica San Giovanni winery, located on the Piceno hills, few miles from town of Offida. Offida gives name to the Offida DOCG, a wine production area focused on the grape called Pecorino. San Giovanni winery was officially founded in 1990 (the family was making wine for much longer time). The vineyards extend across 75 acres around the green hills, at an average altitude of about 1000 feet (320 meters). From the very beginning, the winery was built on all organic principles, with utmost respect to the land and the environment. As you would probably expect, the winery practices dry farming and uses only natural yeast. In a quest to produce wines most attuned with nature, San Giovanni winery is even using a different type of natural cork, produced from the sugar cane. As I was reading online, sugar cane corks are touted specifically as the best enclosure for organic wines, and they even boast negative carbon footprint, as sugar cane captures carbon dioxide – not sure how that works, but here is a link in case you want to educate yourself. Before we will talk about the wines, one more important note about San Giovanni wines. Not only all the wines are organic, they are also Vegan! There are no animal products used in production of the wines, and in 2014 the winery became certified vegan as “Qualità Vegetariana Vegan” by CSQA. San Giovani uses typical local varieties to produce their wines – Passerina, Pecorino, Trebbiano, Montepulciano and Sangiovese. Overall, San Giovanni makes two different lines of wines – Gyo, meant for an early consumption, and a group of wines more of a “reserve” level (I’m using the word “reserve” here as a very loose term, for the lack of common group’s name). During the tasting, which was also accompanied by a delicious meal, we had a pleasure of trying 4 different San Giovanni wines. P: Hint of lemon peel, nice plumpness – almost Chardonnay-like, silky. Medium+ body, touch of bitterness. 2014 Sangiovanni Kiara Pecorino Offida DOCG, Marche (13.5% ABV, SRP $20, 100% Pecorino) – this wine is named after owner’s daughter, Kiara. An interesting note – it is considered that Pecorino is at its best after 3 years in the bottle. P: sweet notes on the palate, apricots, medium to full body, nice acidity, good balance, long finish. V: 8. Would be perceived as an expensive wine in the blind tasting. I would gladly drink this wine every day. V: 8+/9-, outstanding wine by itself, and one of the best values you can find at a price. This might be the wine with the best QPR I tasted throughout entire year. As I mentioned already, the pleasures of the evening were not limited only to the wines. Our tasting took place at Cotto Wine Bar, a wonderful small outpost of authentic Italian cooking in Stamford, Connecticut. Our hosts spent quite a bit of time going over the menu, looking for the dishes which would help to showcase the wines. As a first course, we had an excellent selection of various cured meats and cheeses – both Gyo and Kiara Pecorino wines perfectly accompanied these, providing nice backbone of acidity. Next two pasta dishes arrived – Fettucine alla Bolognese (Fresh Homemade Pasta, Meat Ragu, Shaved Ricotta Salata) and Gnocchi alla Genovese (Basil Pesto, Oven Dried Tomato, Pine Nuts, Fresh Perline di Mozzarella), each one being very tasty. Sangiovanni Gyo Rosso Piceno was a perfect suitor here, weaving itself into the flavor profile of the dish. Our last course consisted of two meat dishes – Agnello Scottadito (Grilled Lamb Chops, sauteed Brussel Sprouts, Pine Nuts and Raisins) and Straccetti Arugula e Parmigiano (Thinly sliced USDA Prime beef served with arugula, Parmesan Cheese and Balsamic Vinegar from Modena), meat cooked to perfection and delicious on its own. The Sangiovanni Leo Guelfus Piceno Superiore, with its firm structure, dark fruit and gentle tannins, perfectly complemented the meats, happily elevating every bite. There you have it, my friends. Of course, there are lots of wines out there. But the great part of enjoyment of wine comes from the joy of discovery. And this is exactly what I’m taking about here. Sangiovanni wines bring together lots of unique qualities – not only these are tasty wines, but they are also organic, they are good for vegans, and they deliver an outstanding QPR. These are definitely the wines worth seeking. And if you are ever in Stamford, and craving good Italian food, Cotto Wine Bar might be just “it”. Cheers! We are continuing our grape trivia series, focusing on the blends, even if it is a blend of 1. White, Red, Rosé, Sparkling, Still, Fortified and Dessert – all goes. Oh yes, and we will blend in some regions and even wineries as well, just to make it more fun. So how do you feel about red blends for today? I know, the temperatures in US and Europe are rising, but quite honestly, while I know that it is very popular and appropriate to set the wine preferences based on the temperature outside (red for the winter, whites and light red for the summer), I personally go by the mood and general desire, no matter what the thermometer says. So for today, it is reds. Q1: As you know, Merlot is one of the Bordeaux stars. Below are some of the best Merlot wines Bordeaux can produce, but only some of them are made from 100% Merlot. Do you know what wines are those? Q3: Wine lovers around the world are well familiar with so called GSM wines and their great range of expression, coming from Rhone valley in France, Australia, US and may other places. If we are to replace the Syrah in GSM blend with the Cinsault, which will produce powerful, dense, concentrated, long living red wines, where do you think such a wine most likely will come from? You need to name not just the country, but the exact region in order to get a full point here. Q4: Sangiovese is a star grape of Italy, used in many regions and producing great range of wines. Montepulciano is another well known red Italian grape, most often associated with juicy, delicious and versatile wines made in the region of Abruzzo. If the wine is made as a blend of Monteluciano and Sangiovese, often in 50/50 proportions (doesn’t have to be always 50/50), can you name the region where these wines would most likely come from? Rediscovering Chianti – Cool? Traditional? How about Fun and Tasty! What is the major pleasure of the wine journey? You never arrive! No matter how much you know, how many wines did you taste, how familiar you are with the producers, there is always something new, something unexpected, something to learn and discover. Case in point – Chianti. Say the word “Chianti” – what image comes to mind? Come on, don’t even start on Fiasco, please. The “image” here is more of “what do you think of the Chianti”? Outside of being (sometimes) a safe and inexpensive choice at the restaurant, or a no-brainer selection to accompany the pasta dinner, how often do you dream of a bottle of Chianti, left alone salivate at one thought of the particular bottle of Chianti wine? Yeah, I thought so. But – the wine is a never ending journey – so let’s take a look at what is going with the Chianti nowadays. 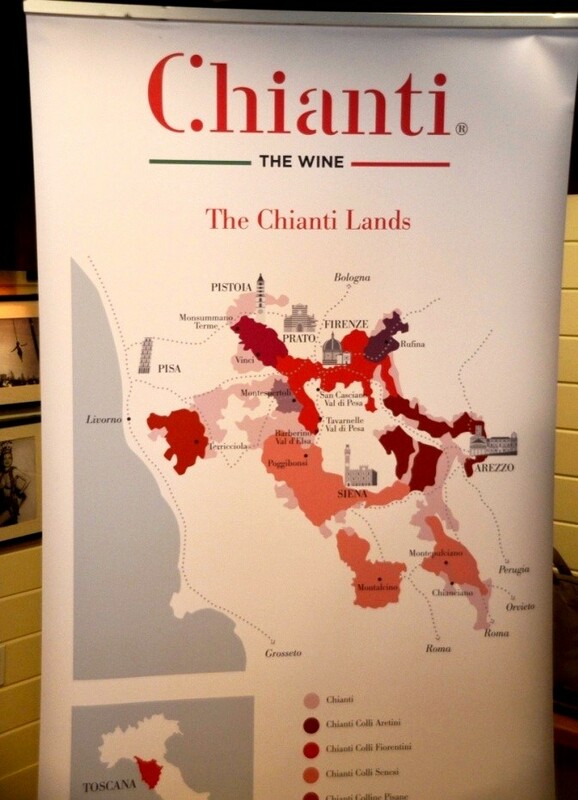 A few weeks ago I attended a Chianti seminar and tasting in New York. The goal of the seminar was simple – to convince the group of wine bloggers, writers and wine trade professionals that Chianti is cool. Actually, this was the request from the event organizer, Consorzio Vino Chianti, that the seminar attendees would tweet about the event using the hashtag #ChiantiCool. To showcase the “cool” factor, 6 wines which we tasted during the seminar were presented in the semi-blind way. Of course all the wines were Chianti, but we were not given the information about the producers – and all the bottles were wrapped in the tin foil, so nobody would get any ideas. I don’t know what was the principal of selecting wines for the seminar, but cool they were not really. Thus after the seminar ended, I was questioning the whole presence of myself at the event, especially considering that now I had to wait for another hour before the walk-around tasting would start. I definitely glad that I was there with Stefano (Clicks & Corks), as it made the wait a lot more palatable. Without any expectations, we started our walk-around tasting with the table number one. The very first sip of the very first wine literally made me shake my head in disbelief. The wine was simply delicious (tasting notes will follow). And wine after wine after wine made me to go wow, and then wow and wow again. Power, finesse, clarity, perfect balance – literally each and every wine we tasted was at the top of the game. It was almost mind-boggling to hear the winemakers explaining that their wines are made in the traditional style. Yes, I get it – it is a traditional style, as many wines were made as a blend of Sangiovese, Canaiolo and Colorino, but then the Chablis-like minerality on the nose, coupled with the layered, luscious fruit instead of just leather and tobacco notes – I have a hard time calling this “traditional” – but I will gladly call these wines “cool!”. What gives, you ask? I think there are a couple of factors which are dramatically changing the story of the Chianti wines. First factor, or rather factors, are the modern winemaking techniques – in one word, the Quality. Better quality of the grapes, harvesting at a pick, reducing yield, improved fermentation capabilities, the barrels and tanks are better and cleaner, and so on. And then, it is the …. Terroir! When I commented to one of the winemakers that a few of his Chianti bottlings from the same year taste so incredibly different, he answer was “of course”. His property, which is about 100 acres in size, has 5 (!) different micro-climatic zones… Most of the people come to think of Tuscany, the land of Chianti, as something universally monolithic. Yes, with the idyllic moniker of “rolling hills of Tuscany”, but one and the same. At the same time, Chianti is a huge grape growing area, with probably a hundred of the sub-zones and microclimates, all producing “traditional”, but oh-so-different wines. In most of the cases, people can think of Chianti, Chianti Classico and Chianti Rufina, but actually Chianti is so much more than just these three regions – Colli Aretini, Colli Fiorentini, Colline Pisane, Colli Senesi, Montalbano, Montespertoli are some additional sub-zones, never mind single vineyards. Winemakers are learning all the time, what works and what doesn’t, and we are lucky to be able to taste the products of their labor of love. Did I get you tired of my rambling by now? Okay, time to talk about wines. Below you will find the tasting notes. Yes, there were lost of wines, and they were so good! I also made an effort to extend above and beyond my simple “+++” ratings to give you more descriptors. I don’t throw those “+++” ratings easily – and here, a lot of wines were simply outstanding, table after table after table. 2012 Chianti DOCG “9Code” – +++, old vines, 7 days fermentation. fruit, earth, balance! 2009 Chianti DOCG Riserva “Corbucci” – +++, aged for 2 years in French barriques, excellent! 2012 Chianti DOCG “Mauro” – +++, 90% Sangiovese, 10% Canaiolo, light, open, earthy nose. Very much Bordeaux in style on the palate. 2010 Chianti DOCG – +++, 80% Sangiovese, 15% Canaiolo, 5% Mammolo, aged for 1 year in big barrels. Roasted meat on the nose, perfect acidity, dark fruit – excellent! 2008 Chianti DOCG Riserva – +++, 80% Sangiovese, 20% Canaiolo. Sweet open nose, nice fruit, multi-layered – outstanding! Azienda Agricola Lanciola – harvesting by hand, 2 green harvests, 5 different microclimates within one vineyard! 2012 Chianti DOCG “Podere Elisa” – +++! 2011 Chianti DOCG Riserva “Podere Elisa” – +++ excellent! 2011 Chianti Colli Fiorentini DOCG Riserva “Lanciola” – +++, barnyard and roasted notes, wow! 2008 Vin Santo del Chianti Colli Fiorentini DOCG “Lanciola” – ++++, unoxidized style, caramel, apricot, candied fruit, perfect balance, wow! 2011 Chianti Colli Senesi DOCG “Poggio al Vento” – +++, Sangiovese/Syrah (10%), 1 year in barrique, 1 year in bottle. Restrained nose, beautiful! 2007 Chianti Superiore DOCG “Villa Cambi” – +++, aged for one year in Tonnau, roasted fruit, plums, spices, excellent! 2013 Chianti DOCG – ++-|, Sangiovese/Canaiolo, stainless steel, brilliant ruby color, fresh berries, sweet fruit, good acidity, simple! 2009 Superiore Chianti DOCG “Cerretello” – +++-|, amazing nose – Barolo! 2001 Chianti DOCG Riserva “Terre De’ Pari” – +++, same as 2004, with even more complexity. 2013 Chianti DOCG “Val di Botte”– ++, nice simple, $3 wholesale!!! 2012 Chianti [Classico] DOCG “Val di Botte” – +++, excellent, soft, round, clean, beautiful. Overwhelmed? Well, I really wanted to share these notes. I don’t know if you read them at all, if you did not – just scroll back for a second, and then tell me – how often do you describe Chianti wine as “smoke, gunflint, wild berries, liquid steak, smokey blueberries, mocha, chocolate”? And yes, I had to use all of those descriptors – as this is what these wines were calling for. Is that cool? You bet. This is also traditional – but now, the beauty and diversity of Tuscan terroir shines through these wines. Don’t take my word for it – while I insist that Chianti now are fun and tasty (and cool!) wines, go grab a bottle and prepare to be blown away, as I had. Cheers! First, the answer for the Wine Quiz #60, Grape Trivia – Sangiovese. Q1: Grape, blending partner mostly of the past, typically leading to Sangiovese wines becoming dull and unexciting. A1: White grape called Trebbiano at some point was mandatory blending partner of Sangiovese in Chianti wines, leading to overall diluted character of the wines. Nowadays, when even 100% Chianti wines are allowed, the usage of Trebbiano in the Chianti wines is very minimal. Q2: What is Fiasco, and how is it related to the Chianti wines? A2: Fiasco is a straw cover which was traditional with the Chianti wines. It also became a symbol of wines of a bad quality, as many Chianti’s of the past actually had quality issues. Q3: On some of the bottles of Chianti, you could see an image of the black rooster. What is the meaning of it? A3: Black Rooster, or Gallo Nero, is the symbol of Consorzio Chianti Classico. It can be argued that black rooster serves as a symbol of quality – whether it is true or not, I can only tell that most of the Chianti Classico I tried which had the Black Rooster symbol on them, where of a very good quality. Q4: Tuscany no doubts is the major source of Sangiovese wines. Can you name 4 sub-regions in Tuscany, producing great wines with Sangiovese as the main variety? A4: Considering all Chianti sub-regions as one (Chianti, Chianti Classico and Chianti Rufina), the answer is Chianti, Brunello di Montalcino, Vino Nobile di Montepulciano and Morellino di Scansano. Q5: Name 3 leading regions in United States producing Sangiovese wines. For an extra bonus, add your favorite producer(s). A5: The way the question was formulated, it was hard to give a good answer, so all the answers will be considered correct for this question. I actually was looking for California, Washington and Texas and 3 main regions in US producing wines from Sangiovese grapes. Considering that questions 4 and 5 were somewhat lacking precision, I will count all the answers to those questions as pretty much correct ones. Therefore, we have 3 winners this week – Wayward Wine, Red Wine Diva and The Winegetter are all getting the usual prize of unlimited bragging rights! And now, to the interesting stuff around the vine and web! First, the 2013 Wine Blog Awards winners had being announced at Wine Bloggers Conference (WBC13) last week. You can find the list of all winning blogs here. Also, the location of WBC14 was announced, and it will be… Santa Barbara! Here is the link to the announcement. Santa Barbara sounds quite appealing as a location, so at this point I really hope that I will be able to attend the WBC14 event. Capital Grille is doing it again! Generous Pour program is back – starting July 8th, you can taste 7 different varietals from 7 different wineries, all for $25. Don’t miss it, as this program will only run during summer – and if past experience is any indicator, yep, you don’t want to miss it for sure. Somewhat on a sad note, as reported by Guardian, wine writer Hugh Johnson is selling his wine collection, which includes bottles dating all the way from 1830. I think it is pretty sad when you have to part with the wine which you wanted to drink, but the moment comes when you realize – there is simply not enough time… You can read the story for yourself here. Well, that’s all I have for you for today, folks. The glass is empty. But it will be refilled, I promise. Cheers! Welcome to the weekend! 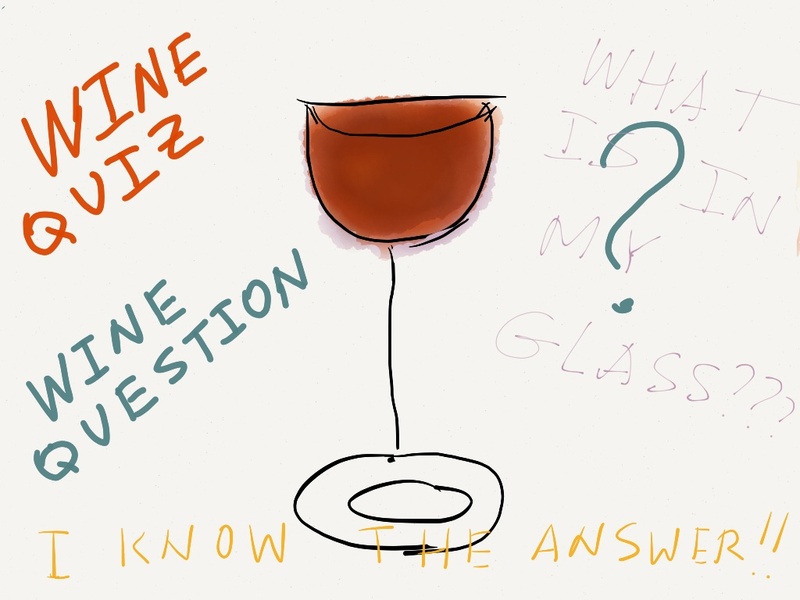 Yep, it is the time for the new wine knowledge test. We are continuing our Grape Trivia series, and today we will talk about Sangiovese – one of the most famous Italian grapes. Sangiovese is typically associated with Chianti, but in reality, Sangiovese is one of the most planted grapes all over Italy. 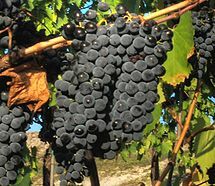 One of the interesting issues is that Sangiovese, similarly to Pinot Noir, is very clone-prone, so it is known in different places under different names, such as Sangiovese Grosso, Prugnolo Gentile or Calabrese, to take a few. Sangiovese is black skinned grape with cherry-dominant, earthy and savory profile. Sangiovese is capable of a wide range of expressions, starting from simple food friendly wines from Chianti to the oak-loaded monsters requiring long ageing and long decanting, coming from different regions in Tuscany and beyond. Absolute majority of Sangiovese plantings are located in Italy, but the grape is also slowly becoming popular in the other regions such as United States or Argentina. Now, to the quiz! I thought that Zinfandel was not a simple quiz to compose, but then I realized that it is even more difficult to create an interesting quiz all around Sangiovese. For what it worth, 5 questions are below. Have a great weekend, have fun and cheers!